On Friday, January 18, 2019, Minister Manuel Heredia and Mr. Yorham Shostari of Royal Caribbean Resort officially launched a Carpentry and Mechanical Internship program. Lee-el Shostari, daughter of Mr. Yorham Shostari officially introduced the program. She stated that they have been working on this idea for over a year now and it’s a way for them to give back to the community. Royal Caribbean Resort will be offering two (2) internships in carpentry and (2) two internships in mechanical work. The length of these internships will be of four months. 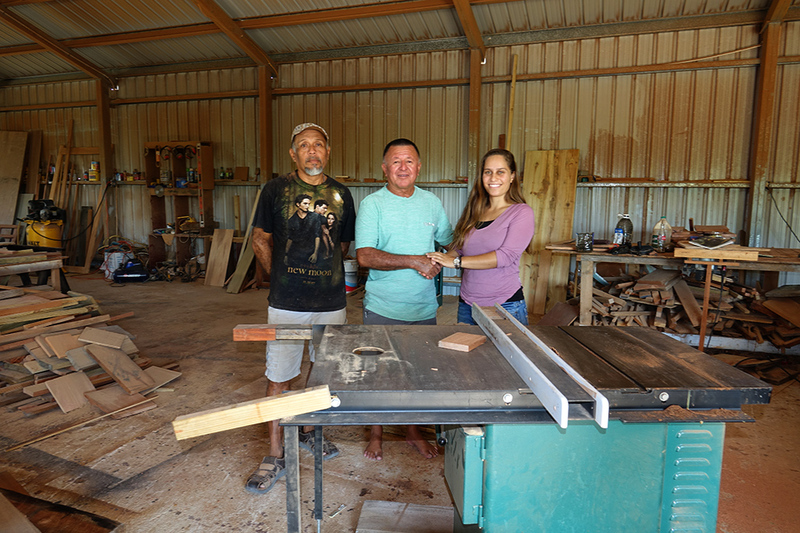 Mr. Gilberto Hoare is the lead carpenter and will be teaching interns the skill of wood works. Any persons interested in partaking in this program can sign up at Minister Heredia’s Office on Pescador Drive. Minimum age of participant is that of (16) sixteen years. The candidates should be prepared to work at the shops for six days a week from 8:00 a.m.-12:00 p.m. and 1:00 p.m.-5:00 p.m. Lunch will be provided by Royal Caribbean Resort. Program is set to commence mid-February.